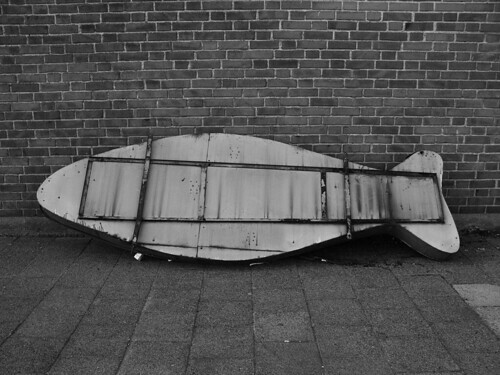 Another bicycle demonstration is scheduled for the streets of Copenhagen, this one initiated by A Sea Change - Imagine a world without fish. Let's See the Sea & CO2! Climate change affects the ocean, too! We're biking to get the word out about ocean acidification, the evil twin of climate change. Let's get it on the table at COP-15! 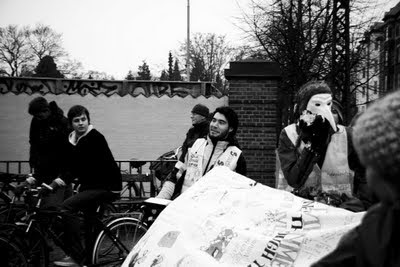 On Sunday, December 13, 2009 the Bike Ride for the Ocean will begin at 13:00 on the Copenhagen Harbour. At Quay number 139, on Havnegade [street]. It will end at the City Hall Square [Rådhuspladsen] - or back at Quay 139: your choice! Quay 139 is very close to the National Bank of Denmark and Christiansborg. Sponsored by the Danish Society for a Living Sea, Future Kulture, and Niijii Films/A Sea Change. For information, please visit our website, aseachange.net or email gwen@aseachange.net. Last week I blogged about Ride Planet Earth, started by Kim Nguyen who cycled all the way from Australia. By complete coincedence I caught them passing by last Sunday through my neighbourhood, on the very last leg of their ride from Roskilde to Copenhagen. Our little family was on the way to a family gathering in Nørrebro so we inadvertantly - and fortunately - were able to take part in the ride, at least for a little stretch.